Life. Made. Easier. The mantra behind The Invincibles Trend needs no explanation. Whether you’re tough on your surfaces or you consider fussing over anything a waste of time, this worry-free lineup makes it easy to create a space that works as well for adults as it does for kids and pets. Every trend has its inspirations. And this one is all about family. 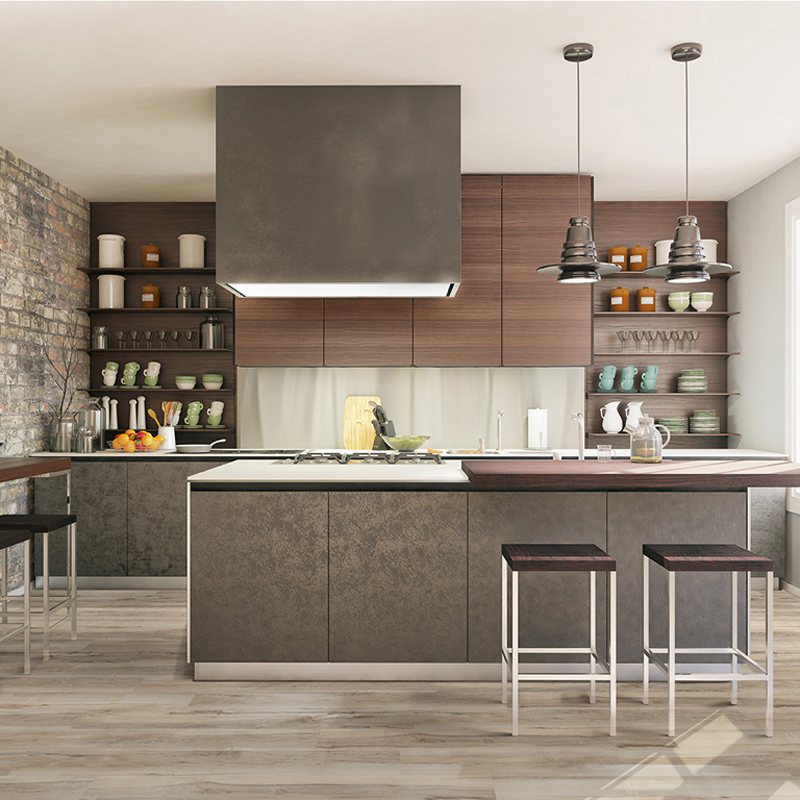 High-performance, on-trend, durable, low-maintenance, and budget-friendly, we curated Everlife LVT, porcelain tile, and Q Premium Natural Quartz™ countertops to make your home look and function like a dream. The bonus? With an ever-growing stream of next-gen styles at your fingertips, these design stars have never looked better. 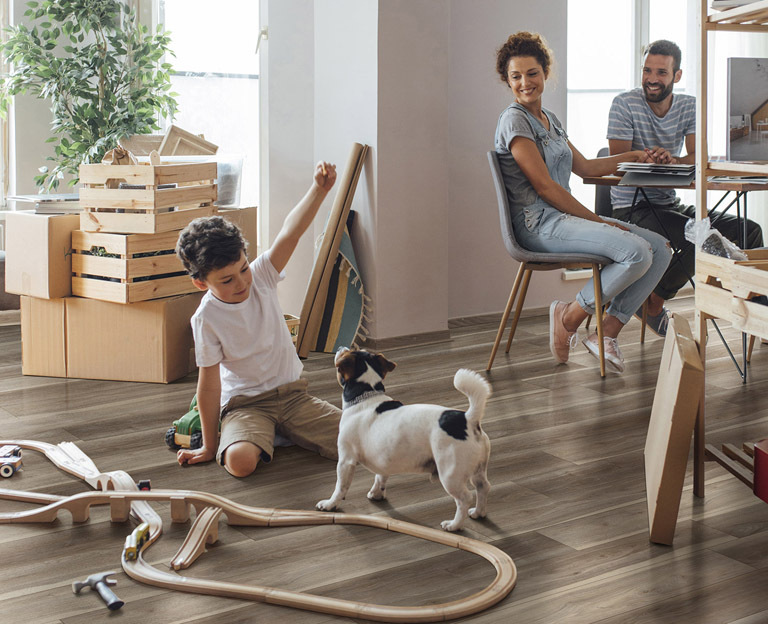 From the kitchen to the playroom, meet the irresistible, 100% waterproof Akadia LVT. Part of creating a well-loved home means satisfying the practical side of your lifestyle – including your budget. 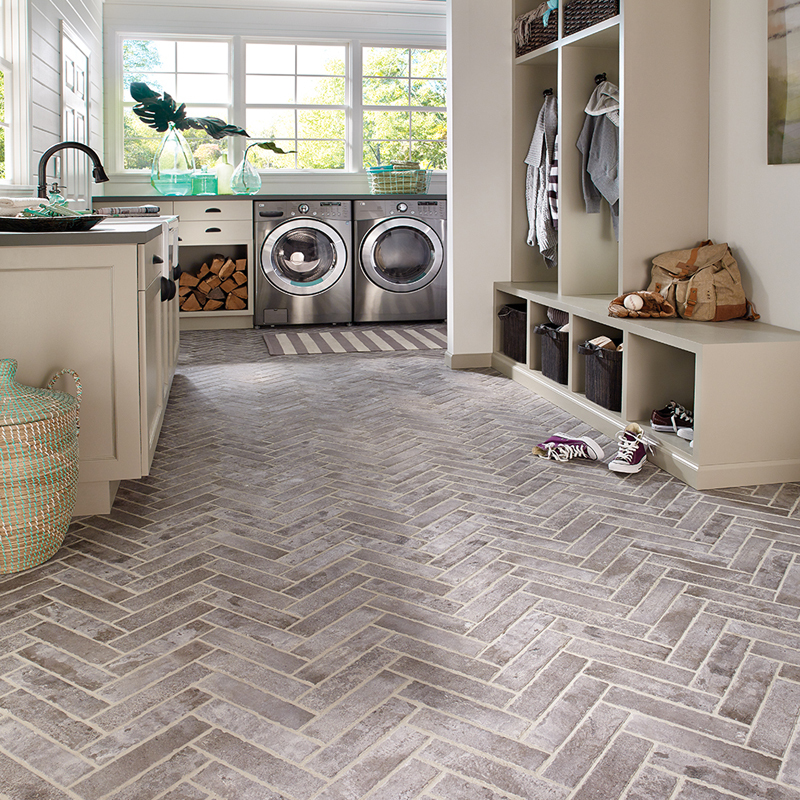 But the upscale aesthetics of Everlife Luxury Vinyl Tile earn the love of homeowners all over the income map. 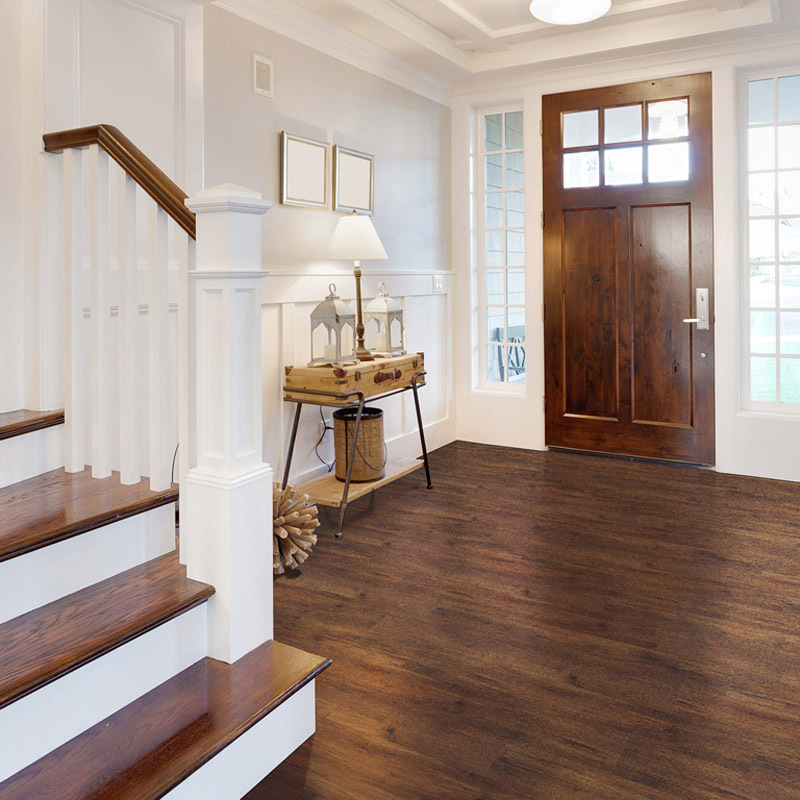 With a best-in-class lifetime residential warranty, the waterproof Rigid Core collections, Cyrus and Prescott, feature stain, scratch, and dent resistant wood look planks. From coastal vibes to refined rustics, the eco-friendly line looks just like hardwoods – minus the headaches. Go ahead, walk in with your rainboots: Braly Luxury Vinyl Tile. 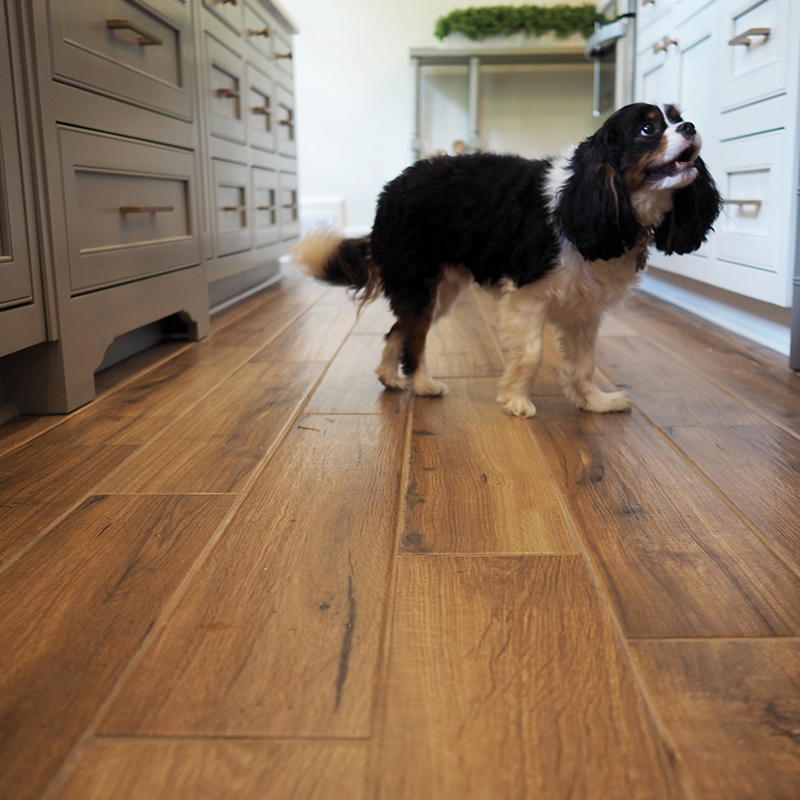 The family dog and Palmetto Cognac porcelain planks share winning looks. 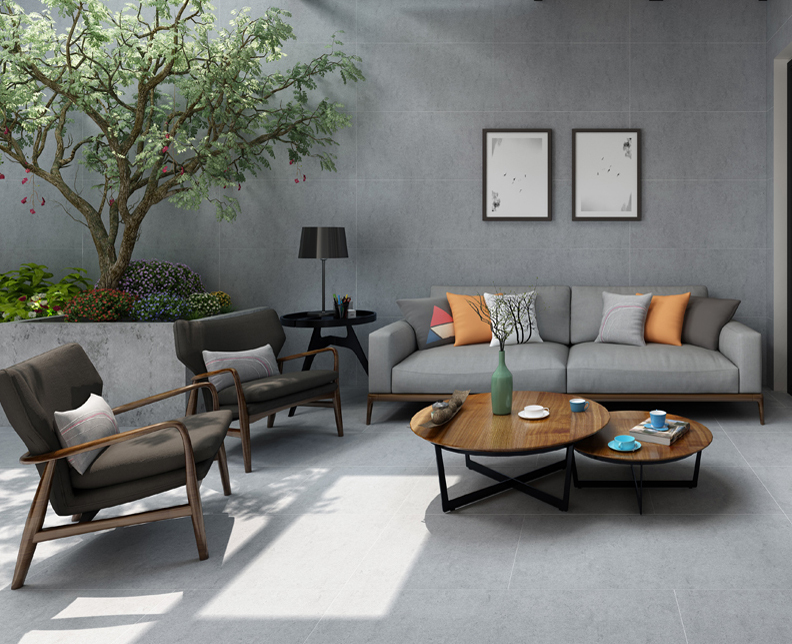 From the modern version of encaustic tile (hello Kenzzi Porcelain) to the fabric-inspired Tektile to the true-to-wood looks of Vintage, Belmond, and Havenwood, it’s hard to beat the design world’s hottest trends when combined with the practical benefits of porcelain: low-maintenance, super durable, and H2O-friendly. 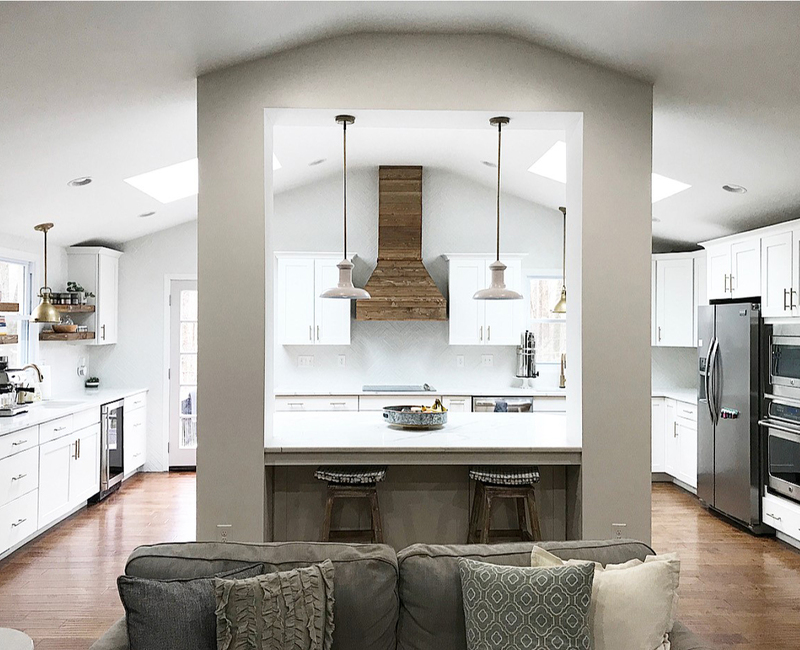 A designer and homeowner favorite, porcelain tile brings kitchens, baths, and all points in between, into dreamland territory. Thanks to Brickstone Porcelain (Taupe), this laundry room/mudroom, is a social media star. We’d be happy to do the dishes in this kitchen: featuring Calacatta Verona from our Q™ line. We couldn’t have an invincibles list and not include Q Premium Natural Quartz™ countertops– especially since quartz is one of the most durable materials on the planet. In addition to being scratch and stain-resistant, invulnerable to heat, and maintenance-free, the collection is flush with over sixty trending looks. To keep the inspiration flowing, we’ll never stop serving up your favorites – including white marble lookalikes, dark and dreamy classics, and the always-edgy concrete and matte finishes. 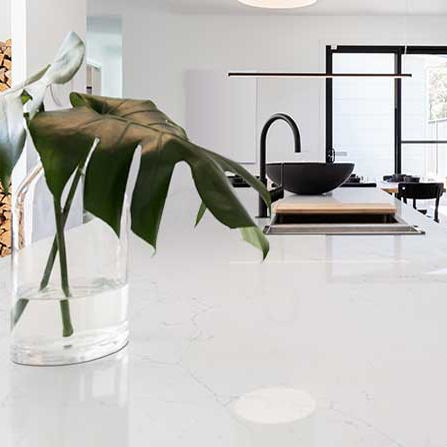 A kitchen we never want to leave, say hello to Calacatta Botanica Q™ countertops. 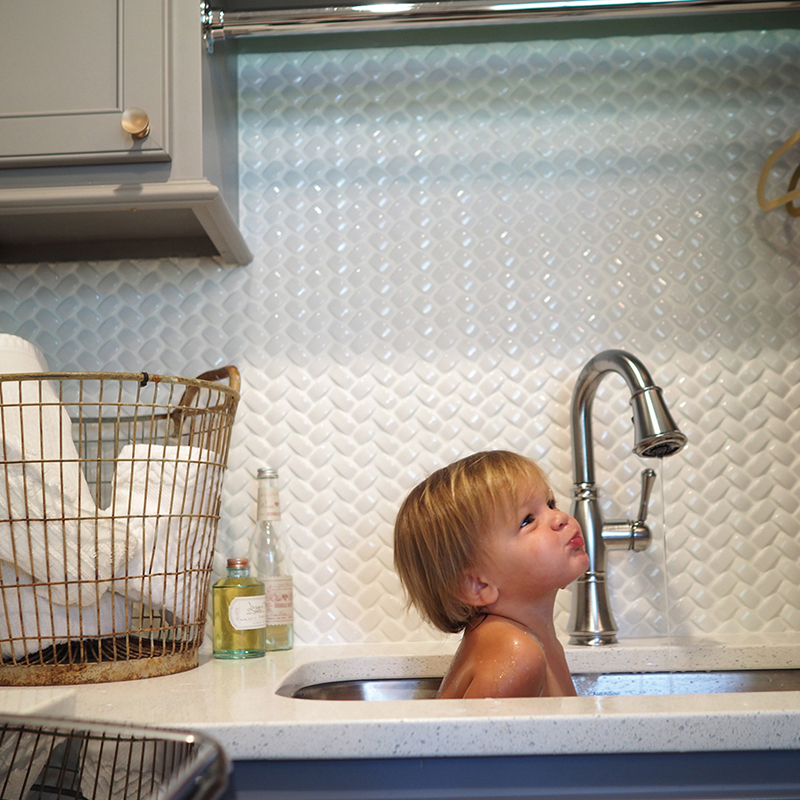 Mirrored specks of gray and gold make bathtime sparkle: Iced White Quartz countertops. Move Over Concrete Counters — This is a Job for Quartz Countertops!